One of the main tenets of a sustainable city is that it is safe, accessible, comfortable and enjoyable. A city that you have helped to grow, and grow within one that you have ownership and pride in and that supports you to thrive, is surely one of these. And such a city will last a long time. Copehagen, the capital of Denmark resonates of all of this and much more and is popularly known to be among the leaders in sustainable living. 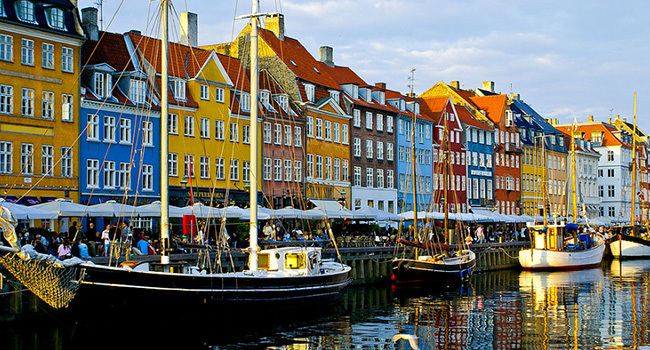 Danes are often said to be the happiest people in the world, and Copenhagen is widely acclaimed to be one of the world’s most liveable cities. A green city surrounded by natural beauty, fantastic climate and friendly citizens, it combines sustainable solutions with growth to provide a high quality of life. Known as the European Green Capital in 2014, Copenhagen has large number of green oases and open spaces with fresh air, some of the cleanest city harbours in the world, sustainable hotels, and high availability and consumption of organic produce. It has electric bi-cycles used as common mode for transport around this old maritime city and thus propagates eco-tourism. Copenhagen has the ambition of becoming the first carbon neutral capital by 2025. Increased mobility through integrated transport and cycling solutions has reduced congestion significantly and improved the health of its citizens. It is making great strides in reducing energy consumption, improving energy efficiency of new buildings, and encouraging the use of renewables. The city has a new district cooling system which uses the naturally cold seawater directly in the cooling production during the winter and electric compressors cooled via sea water in summer months to produce cold air. This saves 70% of the energy compared to traditional air-conditioning. The city is working with companies, universities and other organisations to develop green growth, providing local jobs and sustainable employment. Life in Copenhagen is almost lived in the saddle of a bicycle. The city is famous for being one of the most bicycle-friendly centres in the world. Only 29% of the households in Copenhagen even own a car and traffic lights in the city are coordinated in favour of cyclists during rush hour. Nearly half of its citizens primarily use their bikes to work, to school, to shop for groceries and to social gatherings. Even top politicians ride their bike every day to parliament! Cycle super highways are a reality in the city and lead cyclists in and out of the city from as far as 15 kilometres away. By 2025, the city wants 75% of all journeys to be made by foot, bike, or public transport. Unlike most cities of the world, organic produce is an integral part of dining in Copenhagen households. Organic produce makes up 20% of the total food sale in the city, which is the highest in Denmark. Nearly 90% of the food consumption in the city’s public institutions, such as daycare centres, nursing homes and schools, is organic. For citizens here, organic produce is not luxury; it is simply the most logical option. Extending sustainability to hospitality, 71% of all the Copenhagen’s hotel rooms hold an official eco-certification and more than half of the city hotels have an environmental plan regarding water, laundry, house cleaning, waste, energy consumption, food, smoking, indoor climate, and administration. The city boasts of organic restaurants that are climate friendly and serve local seasonal produce. It is home to Geranium – the world’s only all-organic restaurant with three Michelin stars. Whether it is new bike routes, urban parks or new residential areas, Copenhagen is constantly preparing for a more sustainable future. Water, light, open spaces, sustainability and quality of life seem to be the key elements in the capital’s architectural development. Copenhagen’s most ambitious urban planning project so far is the development of a new district in the city’s northern harbour, Nordhavn, which is the largest urban development project in Northern Europe. State-of-the-art knowledge from all over the world is contributing to make Nordhavn the sustainable city of tomorrow.